The car sitting program is designed to provide owners with someone to look after their car while they are away. For borrowers with an unused parking space, it’s an opportunity to make use of their space and have convenient access to a car. Car Next Door will put owners and borrowers in touch through a forum so you can work together to come to an agreement. Owners: Your car will be added to a cleaning schedule so it is kept clean whilst you are away and the car sitter will keep a watchful eye over your car to give you one less thing to worry about. Borrowers: In return for parking the owner’s car at or near your house, keeping an eye on it, and answering any borrower questions, you will be given a free Heavyweight membership and driving credits every month to use on the car. 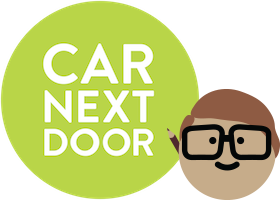 Owners: Email cars@carnextdoor.com.au to let us know you are interested in the car sitting program and we will add to a private forum where you can post your car’s details. Borrowers will contact you if they think they are a good fit. You and the potential sitter will work together to come to an agreement on how many driving credits you will offer each month and the start and end dates of the arrangement. You will then need to notify Car Next Door of what you have agreed. Borrowers: We will send you an email when you become eligible to join the program with information on how to join the private car sitting forum and browse for cars to sit. Please don't post in the forum advertising yourself as a car sitter. Just browse the available cars and comment on any that you might be able to look after. Owners: You and your sitter will come to an agreement on how many driving credits you’ll offer the sitter each month in return for looking after your car. You’ll also be charged $40 a month for a full clean from our cleaning service provider. These driving credits and cleaning charge will be taken out of your gross income each month and will show on your invoice. Borrowers: It’s free to join! Owners: Your car needs to have been live on the platform for a minimum of 3 months. This program is designed for owners who are away for at least 1 month. For shorter periods of time, you may be more suited to using our cleaning schedule. Borrowers: You will become eligible when you've taken 2 trips through Car Next Door. We’ll send you an email with more information when you become eligible. Can the owner change the driving credit allowance when the car is with a sitter? Yes, however any changes need to be mutually agreed and you’ll need to advise Car Next Door. If the owner makes any changes without notifying the sitter, they may be liable for any extra costs incurred to the sitter as a result. How does the agreement end? The agreement ends automatically on the date you nominated when you first notified us of the arrangement. Both the owner and sitter will receive an email a week before the agreement is due to end with all the information you need, including help on extending your agreement if required. How much notice do I need to give Car Next Door to set up a car sitting agreement? Once you’ve come to an agreement with your sitter, we need two weeks notice to set everything up. Make sure you plan ahead so you have time to find a sitter, come to an agreement, and give us two weeks to set up the agreement. We can’t guarantee we’ll be able to set you up in time if you don’t give us enough notice. What happens if the sitter ends the agreement early? If the sitter ends the agreement early we will recover any credits you have paid out in advance. You will need to post your car in the car sitting forum again to find a new sitter. If you are away and unable to do this, give us a call so we will help you out. What happens if the sitter books out my car excessively? The sitter is just like any other borrower – any trips they take will be billed and you will receive income from them once they have exhausted their monthly driving credit allowance. Will I make less money? How much car sitting will impact on your earnings will depend a lot on how far away your new sitter is from your car’s current location. You may lose some regular borrowers while the car is away, but you will pick up some new ones in the new location. What happens if I need the car? If you or one of your additional drivers needs your car, you can block it out no more than 3 days in a month. In exceptional circumstances please get in touch and we will figure out a way to get you on the road. Why do I need to pay extra for cleaning? Can't the sitter do it? The sitter isn't required to clean the car. They are just providing a parking space and a watchful eye on your car. To make sure your car is being regularly cleaned and checked for damage, it's important your car is on our cleaning schedule. If your car is part of our car sitting program, it must be on the cleaning schedule. Do I still pay the booking fee as a car sitter? No, we’ve got you covered. As part of your agreement, Car Next Door will give you a free Heavyweight membership, which includes no booking fees and no fees to reduce your Damage Cover Liability to $500! The car broke down, what do I do? If the car breaks down or has mechanical issues, contact the owner to get the repairs organised. If they are not able to do so get in touch with Car Next Door and we will take the car offline until the owner is available to attend to it. How do I book the car? The car you're sitting will appear under the 'Cars' tab when you log in to the website or app, with a handy button to make a booking. Your driving credits will automatically be applied to your bookings on this car, and you’ll be charged at the normal rate after you’ve exhausted your monthly driving credit allowance. If you post in the car sitting group, you may start receiving email notifications about new posts from other members. To unsubscribe from these notifications, click the unsubscribe link at the bottom of one the emails you received. These notifications are being sent by the system that runs the forum, not us, so unfortunately we can't turn them off. Unsubscribing through the link in the email will stop the notifications, but you will still recieve a notification if someone comments directly on your post.